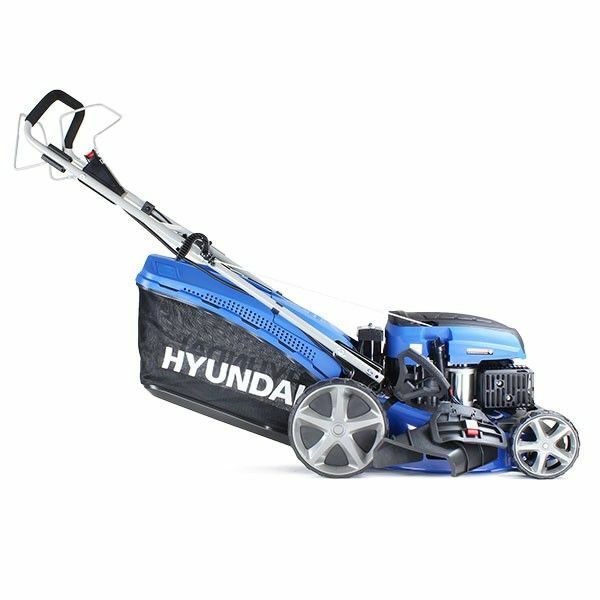 The Hyundai HYM460SPE lawn mower features push-button start, 4-speed self-propelled drive system and rear wheel drive. 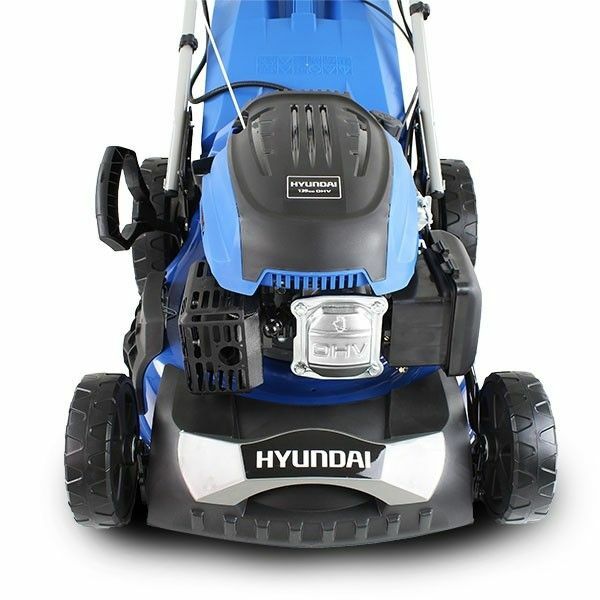 Powered by a Hyundai IC170V 139cc OHV 4-stroke Euro 2 low emission petrol engine. 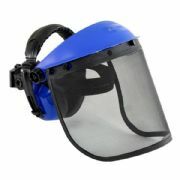 A large cutting width of 46cm it is ideal for medium to large size lawns. The cutting height is easily adjustable to six different cutting heights, with a single height adjusting lever from 25mm to 75mm putting you in complete control over the cut of your lawn. The self-propelled rear wheel drive is controlled from the rear mounted handle control. With OPC (Operator Presence Control) technology to ensure that the engine will not run if you let go of the handle. 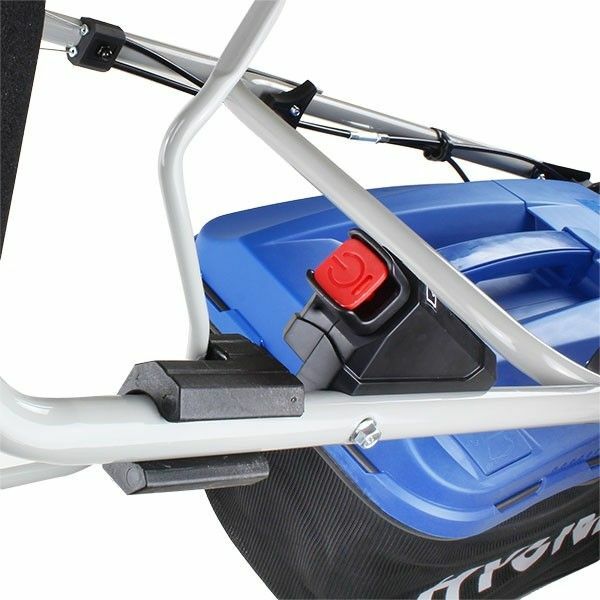 For easy storage, the handles can fold down over the lawn mower making storage compact, ideal for the garage, garden shed or transporting within a vehicle. The fully enclosed drive belt can be easily accessed through the new removable maintenance cover. 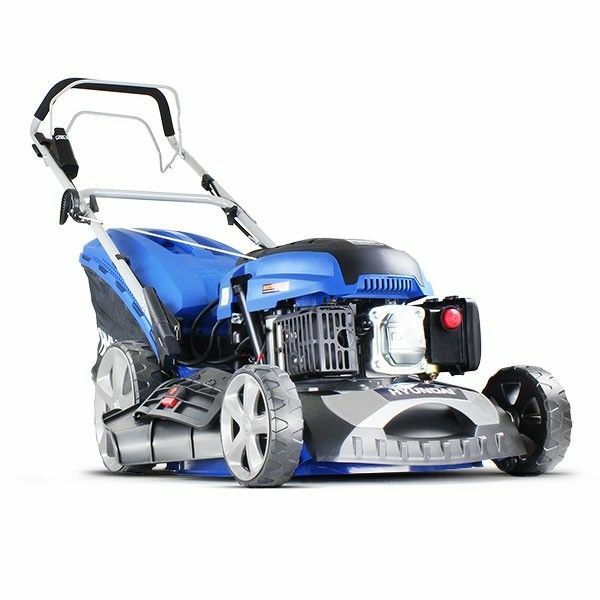 With low noise levels, vibration and emissions the HYM460SPE petrol lawnmower is one of the best all-around garden petrol lawnmowers. 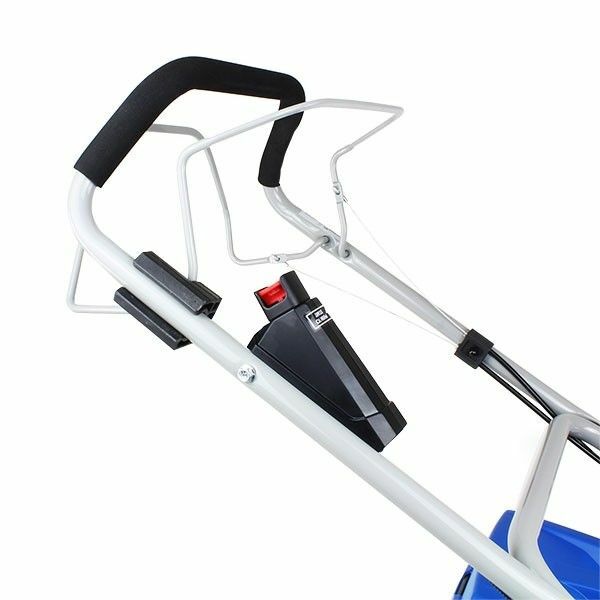 The 70 Litre grass collector features a high airflow plastic top with a level indicator to ensure maximum grass pickup and can be easily emptied. After use, the deck can be cleaned underneath by running the machine with the garden hose connected to the deck cleaning connection. IN THE BOX: HYM460SPE Petrol Lawnmower, 70L Hard top Polyester Grass Bag, Assembly Tools and User Manual.